John T. Collins, II, MPH, has been a consultant since 1984, providing management and quality assurance consulting services to health and human services providers. John’s consultant practice focuses on assisting organizations prepare for CARF Accreditation. To date, every organization that has used John’s services for CARF accreditation preparation has received the coveted three-year accreditation outcome. As part of his consulting practice, he has provided interim executive services to organization’s serving homeless veterans and people with disabilities. As an active CARF Surveyor for almost 25 years, he has conducted more than 140 CARF Surveys. Mr. Collins has held positions in both the private and non-profit sectors. John was employed as Senior Vice President of Workforce Development and Rehabilitation Services for Goodwill Industries of Santa Cruz, Monterey and San Luis Obispo Counties from 1987 to 2015. The programs he led served more than 17,000 people a year. He was also responsible for the company’s strategic planning efforts and Community Relations efforts. Prior to his career at Goodwill, Mr. Collins was a Program Director for Dominican Hospital and helped start the Employee Assistance Program and a 28-day Alcohol and Drug Treatment Program. While serving in the US Army, Mr. Collins was in charge of the Army Navy Transplant Service at Walter Reed Army Medical Center. As Senior Vice President, Mr. Collins was very active in the support and implementation of the Americans with Disabilities Act, The Workforce Investment Act and many educational strategies. He was part of a national team selected by Goodwill Industries International to provide business and program assistance to the United Arab Emirates. He provided technical assistance to the UAE Ministry of Rehabilitation on CARF Accreditation and quality standards. Mr. Collins is very active in community and national affairs. He served on the Workforce Investment Boards of Santa Cruz and San Luis Obispo Counties as well as having served on The Monterey County Tourist and Travel Alliance, the Board of the Santa Cruz Chamber of Commerce and Monterey County Hospitality Boards of Directors. 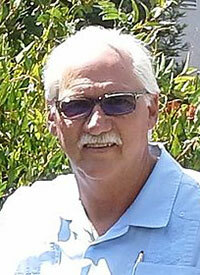 He was elected and completed ten years as a Trustee and past president of the board of Santa Cruz City Schools.